In a Bayesian setting, inverse problems and uncertainty quantification (UQ)—the propagation of uncertainty through a computational (forward) model—are strongly connected. In the form of conditional expectation the Bayesian update becomes computationally attractive. We give a detailed account of this approach via conditional approximation, various approximations, and the construction of filters. Together with a functional or spectral approach for the forward UQ there is no need for time-consuming and slowly convergent Monte Carlo sampling. The developed sampling-free non-linear Bayesian update in form of a filter is derived from the variational problem associated with conditional expectation. This formulation in general calls for further discretisation to make the computation possible, and we choose a polynomial approximation. 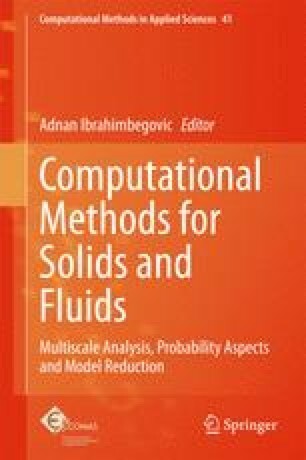 After giving details on the actual computation in the framework of functional or spectral approximations, we demonstrate the workings of the algorithm on a number of examples of increasing complexity. At last, we compare the linear and nonlinear Bayesian update in form of a filter on some examples. This work was partially supported by the German research foundation “Deutsche Forschungsgemeinschaft” (DFG).